Lunchtime protests are planned outside council buildings and town halls across England, Wales and Northern Ireland. 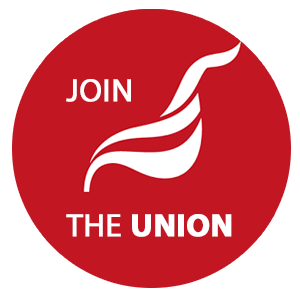 Unite members will leaflet the public and hold up their £1 an hour more placards in Belfast, Bristol, Derby, Greenwich, Leeds, Manchester, Southampton, Walsall and Wrexham. Over one million workers, from street cleaners and refuse and waste collectors to school support and catering staff, have lost up to £3,844 since 2010, as the government's miserly pay increases have languished well below inflation. More than half a million workers earn less than the living wage of £7.65 or £8.80 in London. Unions will find out whether the local government employers (LGE) has accepted or rejected its £1 an hour more pay claim for 2014 later this month. In the meantime, members are encouraged to lobby their MPs and local councillors. Fiona Farmer, Unite national officer, said: "Years of below inflation pay rises, on top of pay freezes, and job cuts have taken its toll on a battle scarred local government workforce. George Osborne needs to pay up and spread some of the feelgood factor of his so called economic recovery. Britain's shrinking wages crisis means workers need a pay rise - none more so than the country's million plus low paid local government workers who are struggling to make ends meet after an 18 per cent real terms pay cut since 2010. With local government workers spending 52.5p of every pound they earn in their local communities, holding down pay is not only bad for workers, it's bad for the economy. Today's protesters will tell George Osborne to pay up and pay fair - one per cent is not enough. We won't go away, but will continue campaigning until local government workers get the fair pay rise they deserve."